Have you ever accidentally deleted important files/data from the system’s hard-disk permanently? OR you lost your files/data due to the system format or corruption of a hard drive, virus-attack or Trojan infection, and unexpected system failure due to hardware issue. For this you need not to worry! As there are lots of software available in the market which will provide you the recovery of your lost or accidently deleted files. But, have you ever tried to erase your personal files which you don’t want to share with anyone? This could be any sensitive and or personal data like any type of account username/passwords, any bank/financial related information’s, work related data, private pics-videos-emails-documents, and many more… It could be anything which you don’t want to share and you simply delete it from the system hard-disk itself by permanently delete from recycle bin or by using “Shift-Delete”. But, you ever think that it can be recover, amused! Yes, data can still recover from the disk even after permanently deletion from disk-drive. 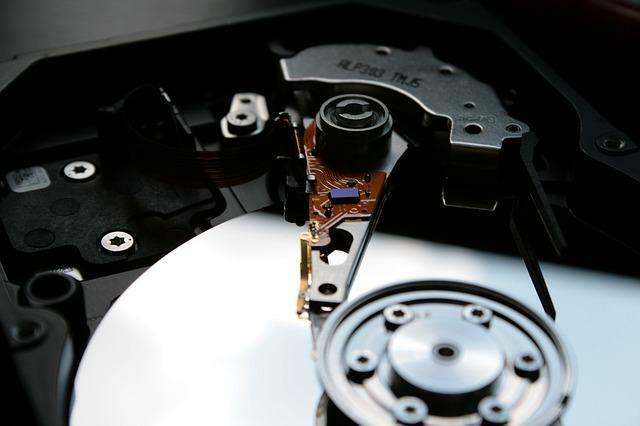 That’s why I explained about data recovery software at the starting of this blog. And the data recovery software is available in abundance and very easily accessible/ free downloadable. Don’t worry guys; have you ever heard of the stanza “If there is a will, there is a way” there is loads of software available for permanently deletion of the data as well on the internet for free of cost. “Eraser” is one of them, this is free software which you can download it from their website and install it on your system. It helps you to delete your sensitive data completely and permanently by overwriting. Please read below how it works ……. When we delete any file, the OS of our PC/Laptop does not really erase the data from the secondary storage; but, actually, it removes the exact reference (Reference means address of location where the data is actually stored) from the file system table, after which the data cannot be searched from the searching algorithms present in the system. And also it will show the memory space as free memory where previously our sensitive files resides. The system control unit update their file system table with that memory location as empty for upcoming data uploads, once a new data file comes, system provide the same location to this and save the new data onto the same locations, but, even after this overwrite, it may be possible to recover the data by study of the magnetic field patterns on the same hard-disk drive. The Eraser software do a unique step to safely remove all the stray marks of the data by overwriting preconfigured data again and again over the same location which is relatively matches the magnetic field patterns of your data. Hence, it could not be recovered by any way in future as it is became unambiguous for the deleted data. Currently, Eraser is supporting Microsoft Windows XP (with Service Pack 3), Windows Server 2003 (with Service Pack 2), Windows Vista, Windows Server 2008, Windows 7 and Windows Server 2008 R2. • Free availability on Internet. • It can delete data from any storage device means not only system Hard-disk, but also from external Hard-disk, pen drive, flash drive. • It is relatively faster and customizable; even you can schedule it for your ideal time cleaning. • It can delete any type of data like files, photos, videos, documents, folders, executable files.